There are several places I go to when I need some inspiration for new things to record, or when I need specific props for recording, especially Foley. I wrote recently about a trip to a huge local charity shop which is now one of my favourite places to find anything and everything. However there is another local shop I also find myself browsing fairly regularly, the local hardware shop. By shop, I mean superstore, a huge store with hundreds of thousands of products in it’s shelves. Back in the UK it was B&Q, but here in Australia, it’s Bunnings. Yesterday I popped in to grab some fly spray and ended up coming out with several other items to be used for recording. These included a metal watering can, some rope and short length of pine wood. This morning, between the showers of rain, I set about recording these items. There are several things I love recording because of the vast range of noises and tones they produce. Water is probably my favourite, paper, wood and many more. Wood is something that can sound completely different depending on the type, length, thickness and also the actions you perform with it. So when in the store, I grabbed a cheap length of pine wood with the idea to record as many sounds with it as I could. Firstly, I recorded the sound of it being dropped on various surfaces, including concrete, a wooden deck and also an area of soft ground. The wood bouncing around on these surfaces can range from bright, through to duller muted tones and vibrations. Next up I tried snapping it to record the stress impacts as the wood splintered. Unfortunately, these didn’t work too well due to the wood itself being fairly strong, producing more of a quick snap than the cracking splintering sound I was after. Also the area I recorded in was surrounded by a metal fence and several other reflective surfaces. This meant the snaps were not salvageable in the edit due to the reverb tails recorded by the microphones. Once snapped into several smaller pieces, I then recorded the sound of these being dropped and moved around, again on various surfaces. These free wood sound effects can be found in our Wood Foley category. The reason I picked this up from the shop was due to it being pretty cheap and I knew it could be used to capture many different sounds. Metal objects such as this can also provide great source material for sound designers, so a normal everyday item like this can be used for many purposes. With plans to smash it later, I firstly wanted to record the sound of the watering can being set down on various surfaces while empty. So I recorded it on concrete and wood, then proceeded to fill it up (recording that too, of course) and then also recorded several sound effects of the can being placed down while full of water. This required me to be overly animated while performing these actions, so that the sound of the water swishing around was audible too. Next I recorded the can being knocked over with and without water inside, being dropped from various heights and then dragged along the ground. Lastly, before the smashing would occur, I recorded it being submerged in water and also thrown into deep water. Unfortunately again, as with the wood sounds, the sound of this being smashed with a brick was affected by the surrounding reflected surfaces and were not usable. 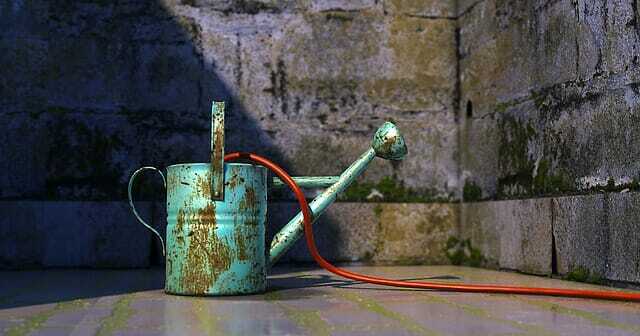 However if you want to find these watering can sounds, they are here. There was a specific reason I purchased the rope and it’s a sound I have tried to capture several times before, without luck. I wanted to record the rope being pulled and rubbing fast over a surface to produce the whooshing sound heard if, for example, someone attached to the rope is falling and the rope is burning as the friction against the surface intensifies. But yet again, I wasn’t successful. I tried on several surfaces, including looping around a wooden post, metal hook and a rock. However the sounds are still likely useful to some, and they can be found in our Rope category. Do you have a sound you can’t find? Let us know and we’ll do our best to record it for you for free.